For nearly a millennium, Venice has been famous for its glass ''pearls'' - small beads shaped over a flame. Now combining two of our most popular styles in this torsade necklace. Giulio, in his workshop in the heart of Venice, Italy, entwines twenty strands of orchid and jet-black seed beads, purple lampwork beads and glass pearls. 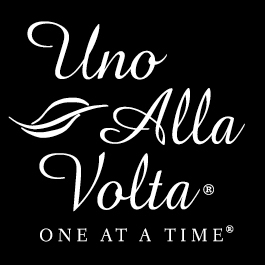 Each stunning torsade necklace, exclusive to Uno Alla Volta, is then finished with a silver infused center bead and gold-plated findings. Approx. 23in. long.